The saga of The Supremes is based on not just the music, the sad departure of Florence Ballard or the 'bossiness' of Diana Ross, but on the fact that they managed to stay strong past expectation. Girl groups are fickle entities after all as they never stay around long past that second or third album, because of a, b, and the c of "catty" behind-the-scenes squabbles, but the Supremes managed to weather such storms without so much as a wane in interest. Of course being nine members deep and a revolving door of line-up changes throughout a decade doesn't exactly scream "stability", but rather it points a finger at Motown's ability to stretch that all-mighty dollar till it could rip. Still the Supremes remaining to deliver hits (let's not forget about "Nathan Jones" and "Floy Joy") and be a fixture in the soul cannon even in the midst of big alterations is nothing to sneer about. As I've been combing through the post-Ross years recently, I noticed how truly great the replacement players have been. I know, I know it's utter sacrilege to diss the legend that is Ross, but believe me, I'm not. While Ross is forever immortalized with the immediate infectious hits like "Stop! In The Name Of Love" and "Baby Love", hits that everybody and their mama can sing (off-key) right when those opening lines chime in, her voice was never truly as 'colorful' as Jean Terrell's or Scherrie Payne's or Susaye Greene-Browne's. 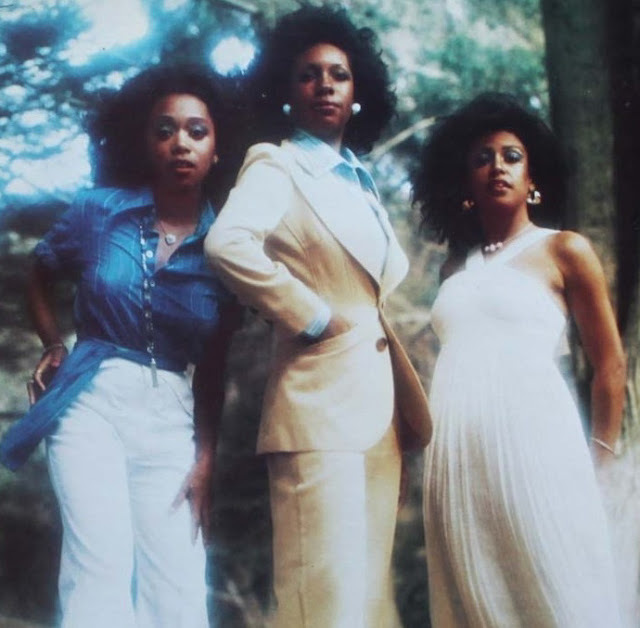 I know, you're winching at that line and have already dismissed any opinion I have from here on out, but my ears just hear how exceptionally more...electric, how much stronger the vocalizing was in the Supremes camp A.D. (After Diana). But I guess Diana may have gotten the last smirk, as the twist of fate is that while the vocalizing game was on-point, the music for Mary Wilson and Co. was oftentimes hit-or-miss. Scherrie Payne and Susaye Greene-Browne were a part of the final reincarnation of the Supremes, and they came about during The Supremes disco makeover era. Disco and the Supremes were never the best of meshes, but they worked out fine on albums like High Energy and the swan song, Mary, Scherrie and Susaye. It's just the Supremes were all about the sweet, supple harmonies and the voices, and disco's latticed backdrops of strings and bass sliced into the fluidity of that. Still this never stopped them from having big hits on the disco charts ("He's My Man, "Where Do I Go From Here", "You're My Driving Wheel"). When the Supremes decided to severe ties once and for all, Scherrie and Susaye rode off into the sunset as a promising new duo, and in 1979 their alliance birthed Partners. I didn't know what to expect when I came upon this album. At first I was surprised that Spotify even had it (to my knowledge its a rare find), and then I was thrilled because that cover is soooo super fly seventies with the satin, velveteen and the faux potted plant. That cover just announces "I AM 1979!" and creates the ambiance right there, and with Scherrie and Susaye striking curious poses in satin-backed chairs, I knew the music inside was probably the plushiest soul-disco around. From jump you're frolicking in the flora and fauna of disco! (exclamation point is necessary), with the opening notes of "Storybook Romance". The horns bleat and sting, the frantic pace of the percussion and bass chugs. Scherrie and Susaye have got this snarling snazzy tone to their voices to where they give a real workout. Freda Payne had previously worked some of her magic on this song for her 1978 album, Supernatural High, but I'm sorry Ms. Payne, Scherrie and Susaye have gotcha beat. I should dive in to say that the duo also wrote a majority of the material here, and in a previous life, the two were prolific songwriters of their own, penning some pretty impressive cuts. Scherrie's writing roster included tunes for Dusty Springfield and sister Freda Payne, while Susaye has co-writing credits for hits like Deniece Williams' "Free" and Marvin Gaye's "Distant Lover". And it's not everyday that a writer gets to co-scribe with Stevie Wonder, but Susaye's name is right there next to his on Michael Jackson's much-beloved, "I Can't Help It". So yes, these sistas were doling out the receipts that they were forces to be reckoned with. Partners wasn't meant to be a wham-bam-thank-you-ma'am deal, Scherrie and Susaye were hoping to continue on well into the next decade, but since Motown didn't see any future promise for the duo, they squashed the idea before it could really get to rolling. As I'm just a mere music lover and observer, I never know what record labels are looking for or why certain artists adhere more to a listen public or prevail over others. Sometimes it's just luck. Sometimes timing is just off. It was 1979 after all, and disco was on its last legs, wobbling into the 1980s, and since Partners one and only single, "Leaving Me Was The Best Thing You've Ever Done" was swathed in suave sweeps of disco-fied strings and was dramatic the way the best disco songs are, it got stuck with such a label. If only someone had listened past that song and culled some more single options, maybe Partners wouldn't have been dead on arrival. Production for Partners was overseen by the late Eugene McDaniels, whose prolific trackrecord included production for the likes of Lenny Williams, Roberta Flack, and Nancy Wilson. He is also best known for penning the seminal soul classics such as "Compared To What", "Feel Like Makin' Love", and "Reverend Lee", as well as my personal favorite Esther Phillips song, "Disposable Society". Partners benefited from having a true soul man in the fold, as much as it benefited for having the exuberance of Scherrie and Susaye's intertwined harmonies. Digging deeper into the album, you'll hear its funk undercurrents and attempts at curbing away from the gaudy pageantry that disco was becoming more and more associated with at this time. "Luv Bug" is a sly fox of a song, as it slinks in, with Ray Charles (!) coming into the fold to provide piano riffs and responses to Scherrie and Susaye's seductive propositions. Churning and burning, "I Found Another Love" features more electric diction from the duo, and while some may find there vocals 'over-cooked', I personally love their energy. If a slower pace and sweeter ruminations is you vie for, then "You've Been Good To Me" is a tender love ballad that shivers with strings as it gets intimate. "Your Sweet Love" missed its opportunity to be a single, as it sways effortless with its touches of brass and its infectious doo-wop sensibilities. Aside from "Your Sweet Love" and "Storybook Romance", I adore the hypnotic "In The Night". It's a really incredible slow burning joint, that begs for nighttime play only, though in the daytime its just as steamy. 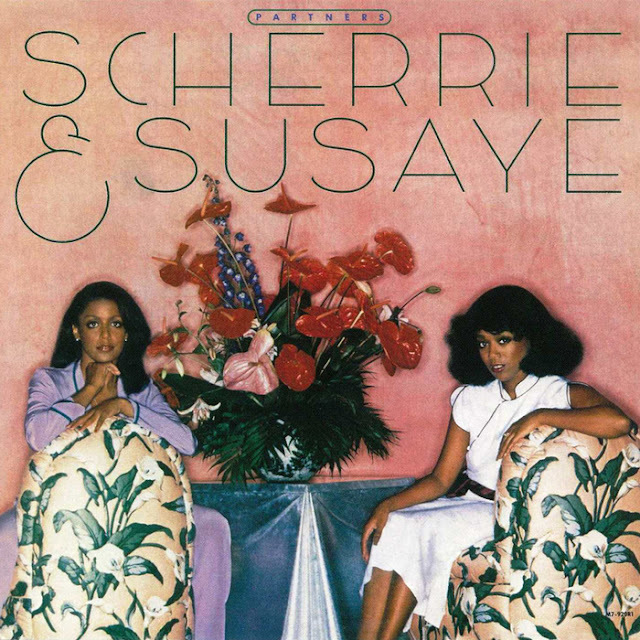 The lack of success for Partners didn't stall Scherrie and Susaye, as they continued in the 1980s to write and record music, and have since reunited as "partners" for various Supremes events over the years. Still, Partners failures to capture the right audience shouldn't stand in the way of the record's enjoyment. 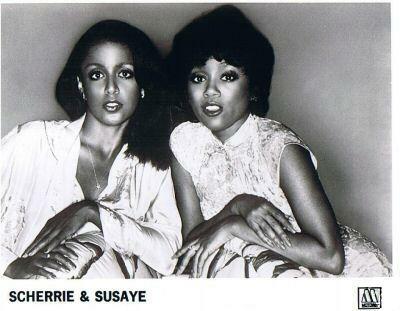 Not just for Supremes completists but Scherrie & Susaye's Partners is also for the curious (like me!) who just want to revel in a little glamorous disco, and re-discover the many buried gems that the era so abundantly produced.